Stop. Rumor Time. We’ve received a tad bit of intel regarding a future (not necessarily the next) wave of 3.75″ Black Series figures coming to Walmart next year. Without spilling the beans fully, I can hint that all four will probably be repacks; two of them are potential army builders, one is a very requested figure from the Original Trilogy offered briefly in the Vintage Collection and one is a perennial favorite. Any guesses? Leave them in the comment section or forums and stay tuned for more vague rumors and cryptic writings (maybe even for Episode VIII) in the coming days. They better be a bunch of ewoks. NICE! I'm glad to see that these are turning up. 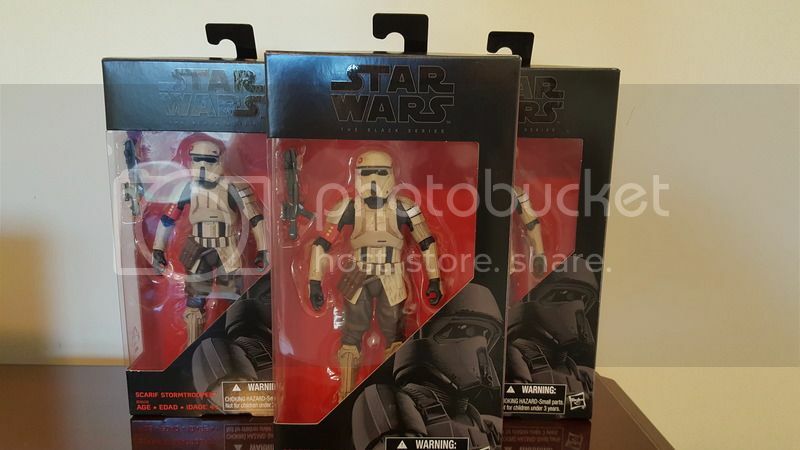 After the Battlefront Shocktrooper fiasco, I thought that these would be really difficult to find. But lo and behold they're in stores and I even found them on the WalMart website this morning. I am still a bit troubled by the availability of some of the new 3.75" Black Series in stores. The refresh figures are turning up in decent numbers. But I've found that the Emporer's Royal Guards are being cherry-picked, and the Deathtroopers are getting hoarded. 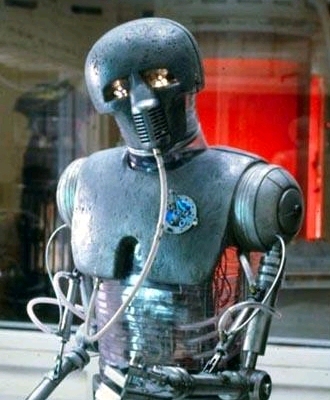 I know that the ERG is a fantastic figure and was only available in a limited capacity in the TVC line. But it would be nice to see more of those shipping. And the same goes for the Deathtrooper. They are evidence that the army building phenomenon is back. And on a similar note, I hope that the Scarif Stormtrooper winds up being readily available, too. Found the Scariff Stormtroopers this morning! I'm actually a lot more concerned about the WalMart exclusive 6" Black Series Scarif Stormtrooper. I *NEVER* saw the WM exclusive Battlefront Shocktrooper, and it was only because I got help from a fellow NJSWCCer that I was able to get one. Thanks again, btw, Hokiepoker! I'm still looking for the TFA Han, Leia and Phasma. That's unclear at this point. The current wave with the reissues of Admiral Ackbar, Ahsoka Tano, the Emporer's Royal Guard and ROTJ Lando Calrissian only got officially released on Friday. I think at the very least this wave isn't going to be out for about a month. I know that some other ROGUE ONE items have release dates of 10/31, like the Target exclusive 6" Black Series 3-pack. So maybe then? But really, that's just conjecture right now. Overall I think that this ROGUE ONE wave of SA figures is a much more relevant first offering than what we Hasbro rolled out the SA 3.75" Black Series figures from THE FORCE AWAKENS. I'm still scratching my head about why we got the versions of TFA Han Solo and Leia that were in that line. When is the release date on these?